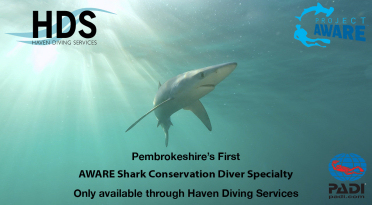 Haven Diving Services are proud to offer Pembrokeshire’s first AWARE Shark Conservation Diver Specialty course. Since 2013 our dedicated dive team have been researching the marine life at The Celtic Deep, tagging sharks and passing on data to The UK Shark Tagging Programme (a currently ongoing project). In order to offer a more rounded Celtic Deep diving experience we began to film sharks/marine life behaviour and their interactions with divers in order to create a safe diving environment for both sharks/marine life and divers. 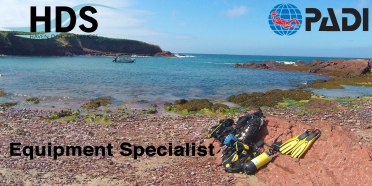 Our experienced Pembrokeshire Shark Diving Instructors will take you on an adventure to The Celtic Deep to experience the diverse marine life that this impressive location has to offer. 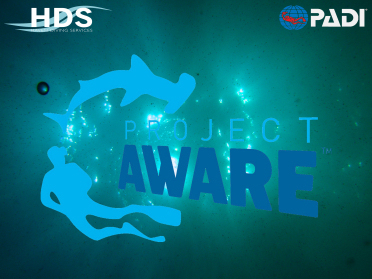 Learn about the value of sharks and what is causing the rapid loss of shark populations. Also look at what shark species we have here in the UK, including Porbeagles, Blue, Mako, Thresher and the magnificent Basking Shark. Sharks are crucial to marine ecosystems, yet sharks are in a global decline. They maintain a balance in populations of prey species and keep the ocean healthy by removing ill or diseased animals. The course may include two scuba dives or may be presented as a non-diving education program. Lectures on shark biology, conservation, diversity of sharks and shark diving techniques. Minimum qualification level PADI Open Water or above, BSAC Ocean Diver or any other equivalent diving body certification. Equipment hire is available at an additional cost. 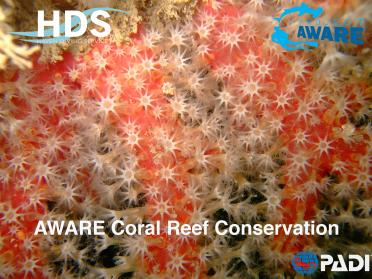 This course is aimed at divers, non-divers and snorkelers who are interested in learning more about coral reefs, the impact they have on the marine environment and how they can help to improve them. As divers we are always looking at ways of keeping the marine environment as pristine as possible. Lecture on Coral Reef Conservation (half day). Certification card on successful completion of course. This course is aimed at divers, non-divers and snorkelers who are interested in learning more about how they can help to improve the health of our Oceans and the fragile ecosystems that call them home. This course is classroom based and can be completed in a single afternoon. Learn about local conservation initiatives such as Neptunes Army of Rubbish Cleaners and how you can get involved and do you part. What you can do to preserve the environment. Lecture on Project AWARE (half day). Do you ever feel like you want to stay underwater for that little bit longer? Then the Enriched Air Diver (EANx) course is your next step. With this qualification you will be able to extend your no deco stop bottom time beyond the limits previously allowed with standard air no stop diving limits, ultimately allowing you more bottom time on your favourite reef. Minimum qualification level PADI Open Water Diver. Minimum age of 12 years or older. Plan enriched air dives using tables and/or dive computers. Techniques for getting more dive time by using Enriched Air. We offer diving and non-diving Enriched Air Diver (EANx) courses. Can be completed within one day and includes theory and practical skills. 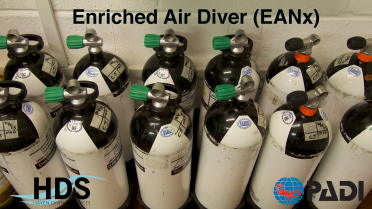 Students receive the Enriched Air Diver Speciality Pack, which includes the EANx manual & DVD. Students then attend Haven Diving Services for knowledge development, dive planning and EANx analysis. Includes 2 open water dives priced at £55.00 per dive using (EANx mixture up to 40%). EANx cylinders (included in course price). Join Haven Diving Services and experience your favourite Pembrokeshire shore diving site at night for an unforgettable diving experience as you immerse yourself in the magical world of the underwater realm. Night diving with Pembrokeshire’s marine life has to be seen to be believed, from Lobsters, Crabs and hunting Fish roaming the seabed in your torch light to small Cuttlefish squirting miniscule ink jets to distract and evade you. Correct use of lights and deal with light loss. Identify and observe nocturnal marine life. Nighttime water entry and exit safe procedures. Nighttime navigation and “Blackout Diving”. Minimum qualification level, PADI Jnr Open Water Diver or above (or qualifying certification from another training organization). Minimum of 12 years old. Underwater Torches, Strobes and Glow sticks (available for students without adequate lighting source). 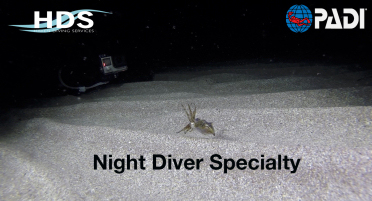 3 Night Dives (over 2-3 evenings). Equipment: Torches, Strobes & Glow sticks. Standard scuba diving equipment (available for hire at additional cost). 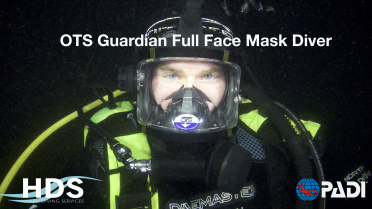 All our OTS Guardian masks are fitted with diver-to-diver underwater communications. Voice communications between divers eliminates the need for tank bangers that can scare away marine life. Diving in full face masks keeps your face warmer during cold water dives. The mask has a wide field of view giving divers greater visibility underwater. Minimum qualification level PADI Advanced Open Water Diver. Minimum age 15 (due to mask size and additional equipment used). Technical aspects of Full Face Mask Diving. Pool and Open Water skills. OTS Guardian full face mask theory session (half day). Use of mask, regs and pony bottle for course duration. Equipment: Standard scuba diving equipment (available for hire at additional cost). Course offer: Purchase a OTS Guardian mask within 30 days of completing the course and receive £50.00 off the retail price of OTS Guardian mask of your choice. Perfecting your buoyancy is the first step in becoming a better diver, gliding gracefully over reefs with a feeling of weightlessness. 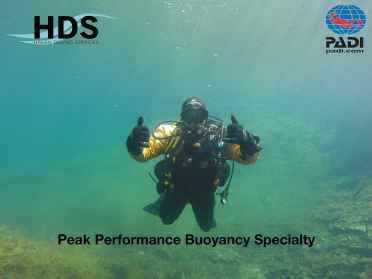 Once you have mastered your buoyancy you will use less air and energy leaving you more relaxed underwater. This allows you interact with marine life on a more personal level as you avoid unnecessary finning and arm movements. With correct trim and streamline equipment you will reduce the risk of causing damage to the marine life, equipment and more importantly fragile reef ecosystems. How to fine-tune your buoyancy. How to improve your hovering techniques. Minimum of 10 years old. Pembrokeshire is home to some of the most colourful, inquisitive and beautiful marine life that the UK coastline has to offer. With advancements in digital cameras, underwater digital camera setups are now reasonably priced and as such you are never too far away from a diver with a camera underwater. The PADI Digital Underwater Photographer course familiarizes students with today’s modern digital camera equipment, from entry-level point-and-shoot digital cameras to sophisticated D-SLR professional cameras. 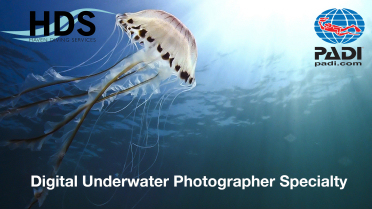 The PADI S.E.A method for capturing great shots. The three primary principles for underwater photography. Choosing the right underwater photography setup to match their diving needs, qualification level, experience and budget. Minimum qualification level, PADI Jnr Open Water Diver (or qualifying certification from another training organization). Pembrokeshire is home to some of the most colourful, inquisitive and beautiful marine life that the UK coastline has to offer. With advancements in underwater video cameras such as GoPro’s, camera sizes have shrunk and so have the prices. Capturing your images on an underwater digital camera is one thing but being able to film your diving adventure and share it with friends and family is something special. The Underwater Videographer course will teach students how to create films that capture the incredible sights and sounds that the underwater world has to offer. Creating unforgettable memories that you want to watch again and again. The course is split into three sections. Selecting the right underwater video camera setup. Maintaining and looking after your underwater equipment. Videography fundamentals such as exposure, focus, shot types, moves, story line and shot sequencing. Capture footage to create a story of your dive. 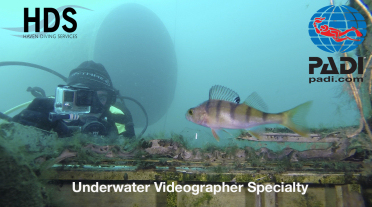 The final section of the Underwater Videographer course is video editing. Students will learn about different editing techniques used to piece together and create a seamless underwater film. Using a preferred editing method students will then edit the RAW video footage to create their very own underwater film. A copy of the finished film will be given to the student and Haven Diving Services will also upload the film to their YouTube and Facebook page. With temperatures reaching as low as 4 degrees at the start of the year and reaching around 20 degrees at the height of the summer you have probably realized that your semi dry wetsuit would not be suitable for diving all year round. 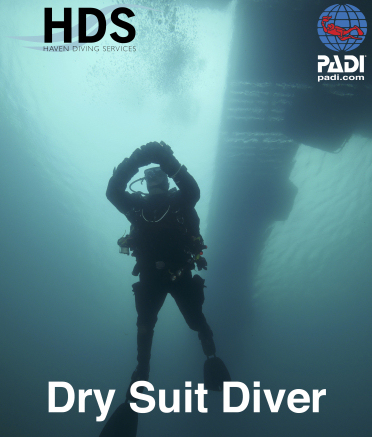 Dry suit diving will allow you the freedom to complete 2/3 dives a day leaving you warm and comfortable underwater at any depth. No more will you end your days diving short due to wet uncomfortable semi dry suits. With this qualification you can take advantage of more challenging dive sites throughout the season. Course duration 1-2 days. Correct dry suit entry and exit methods. Under suits and thermal protection. Maintenance and dry suit storage. How to improve buoyancy techniques. Due to factors associated with dry suits such as size, shape, boot size and wrist/neck size students are advised to bring their own dry suits as part of the course. Don’t miss a dive due to minor issues with your scuba diving equipment. Whether it’s a missing o-ring, wetsuit tear or a broken fin strap, the PADI Equipment Specialist course teaches you to manage basic repairs and adjustments. You’ll also learn more about how your gear works, making you more comfortable with it and better prepared to take care of you’re investment. Course duration 1 day. Routine care and maintenance procedures. Equipment: Students are advised to bring their diving equipment to the course (examples of other diving equipment will be available for you to work with during training). This is NOT a service technician course and does not allow students to service their own equipment.